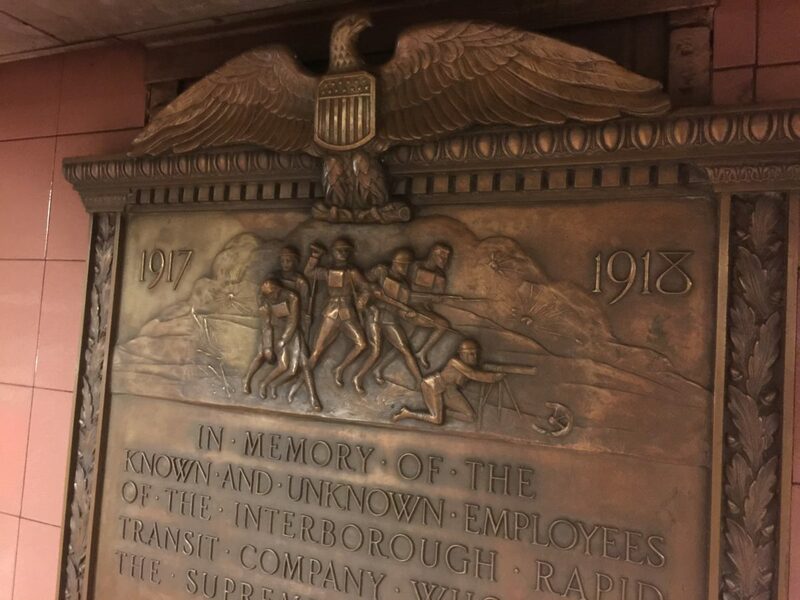 Come along on a walking tour of sites that were important to New York during World War I, from military locations, recruiting, and fundraising. Remember our honored war dead by visiting beautiful memorials around the city, from stunning sculpture to poignant monuments. This unique walking tour honors the centennial of WWI (1914-1918) and is led by Kevin C. Fitzpatrick, author of the award-winning World War I New York: A Guide to the City’s Enduring Ties to the Great War (Globe Pequot Press). The story of WWI is a New York one. In 1917-1918 four out of five Doughboys departed from New York Harbor. The region was an important hub throughout the war as recruiting and patriotic efforts continued. Following the Armistice in 1918, more memorials were erected to WW I veterans than for any other event. On this tour explore more 30 locations in Manhattan that have ties to the Great War and learn the stories behind each. Explore the architectural and historical stories of the buildings and monuments. Learn about Central Park and Grand Central Terminal, notable buildings, memorials, and monuments. The walk begins at the New York Public Library on Forty-second Street and Fifth Avenue (between the lions, 476 Fifth Avenue). The tour includes a subway ride from Grand Central Terminal; the tour ends in Central Park. Kevin C. Fitzpatrick has written eight books tied to New York City history and has been leading walking tours since 1999. He has made numerous talks and lectures, and has been featured on the Travel Channel’s Mysteries at the Museums, and C-SPAN American History TV. He is a member of the U.S. WWI Centennial Commission, the WWI Centennial Committee for New York City, and the East Coast Doughboys. World War I New York: A Guide to the City’s Enduring Ties to the Great War won the Apple Award in 2018 from the Guides Association for New York City for Outstanding Achievement in Non-Fiction Book Writing. About 2 miles (40 blocks). The closest subway stations 42nd Street station (B/D/F/M) and Grand Central Terminal (4/5/6). Five minutes walk to meeting point. In front of the NYPL on 42nd Street and Fifth Avenue.